Paris isn't the happiest place on earth for Disney right now. 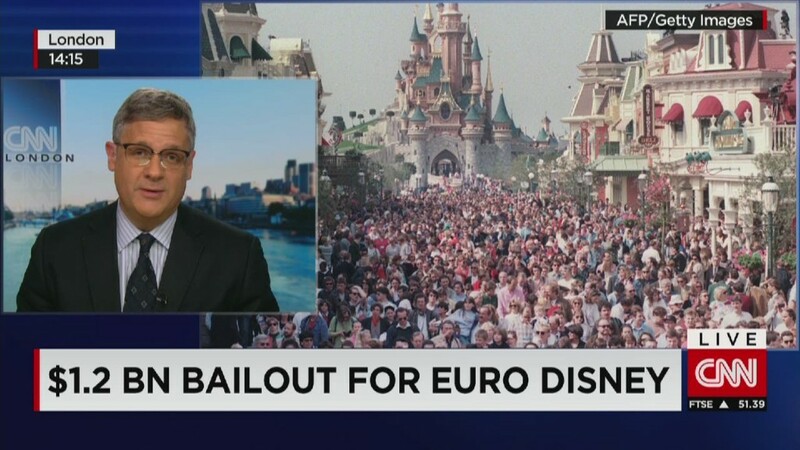 For the second time in three years, Walt Disney (DIS) has been forced to ride to the rescue of Disneyland Paris -- this time by leading a billion euro ($1.25 billion) refinancing of park operator Euro Disney. Since opening in 1992, the theme park east of Paris has become Europe's top tourist attraction by visitor numbers. 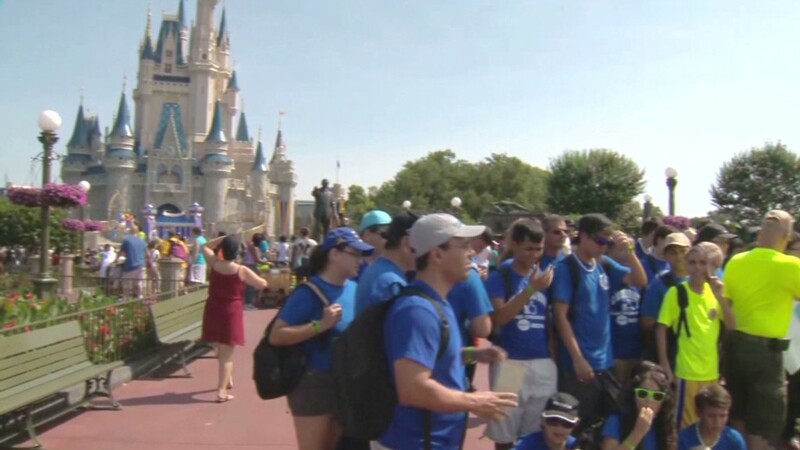 But the dream has turned into a nightmare for Disney and other investors. Attendance has been hit by Europe's economic crisis, leaving the company struggling to invest in new attractions while servicing its massive debts. Visitor numbers are expected to fall to around 14.1 million this year, 800,000 fewer than in 2013. Hotel occupancy rates are also slumping -- down to 75% from nearly 80% last year. Euro Disney expects to lose between 110 million and 120 million euros this year. Walt Disney owns about 40% of its European subsidiary. By guaranteeing a capital increase and converting existing debt into equity, it could end up owning the entire company, depending on whether or not other investors choose to take part in the bailout. Saudi Prince Alwaleed Bin Talal is the second largest shareholder, with a stake of 10%, according to FactSet. Euro Disney has a market value of about 124 million euros, and owes Disney 1.75 billion euros.